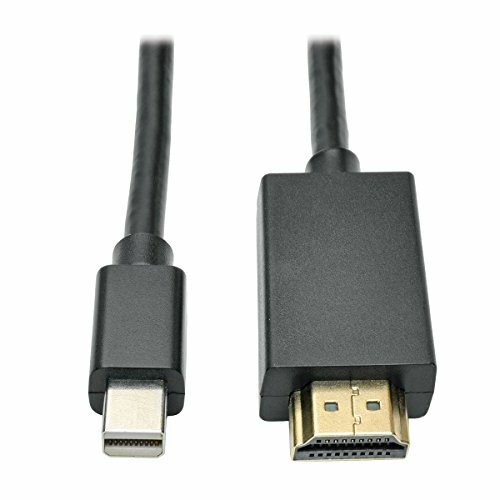 Tripp Lite's P586-012-HDMI Mini-Displayport to HDMI cable allows you to connect a computer with Mini-Displayport video out port to an HDMI-enabled monitor or TV. Male-to-male design eliminates the need for separate adapter and cable. In-line passive adapter is designed for use with Dual Mode ( DP++) Displayport graphics cards. Supports 1080P video as well as audio (provided the Mini-Displayport supports audio pass through). HDCP compatible. Compatible with Apple MacBook, MacBook Pro, MacBook Air, iMac, and more!